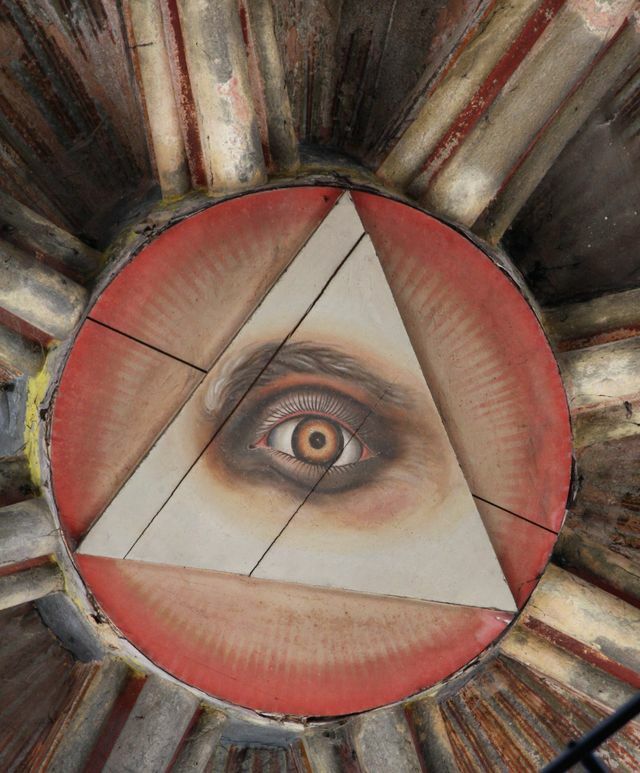 the "all seeing eye of God" represented by the Eye is a common feature in religious art and iconography and appears in many Christian churches and images. In some traditions it is the Eye of Providence and appears on the back of the Great Seal of the United States - it is also associated with Freemasonary. It can also be traced back to Egyptian mythology and the Eye of Horus.It also appears in Buddhism, where Buddha is also regularly referred to as the "Eye of the World".